For almost 14 years, Davao City celebrated Christmas and New Year without firecrackers explosions, it was implemented here in our city last Christmas of 2001 and New Year of 2002. The City Ordinance of banning firecrackers was actually passed only in late 2002 and indeed it was a SILENT NIGHT Christmas 2001 and so was New Year 2002. Since then, our city has recorded zero injury and death from FIRECRACKERS BLAST and STRAY BULLETS. The banning of Firecrackers is not only during Christmas and New Year but all year round, applies also with the celebration of the Chinese New Year and the Muslims Eid'l Ftr or the end of Ramadan. And because firecrackers was a BIG NO here in Davao City, SMART COMMUNICATION together with the City Government of Davao joined hand-in-hand to organize a BIG GATHERING of party blowers using the traditional way, the 'TOROTOT'(party horns) in order to make Davao City New Year full of fun, enjoyment and noise blast! Started last year of 2013 as we welcome 2014, though the record was not surpassed for the Guinness Book of Records for the largest gathering of party blowers, this time we will do it again and we hope we will make it! 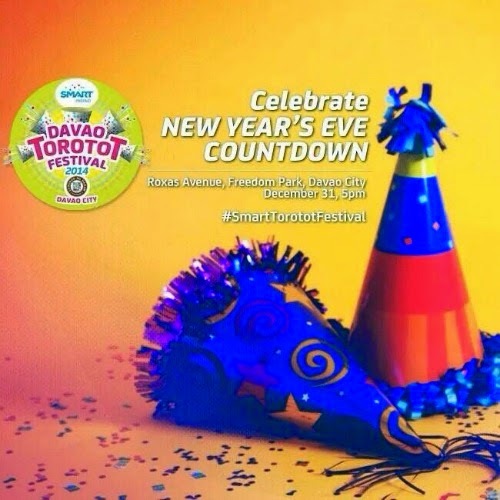 Torotot Festival will begin with a parade today at 2PM. 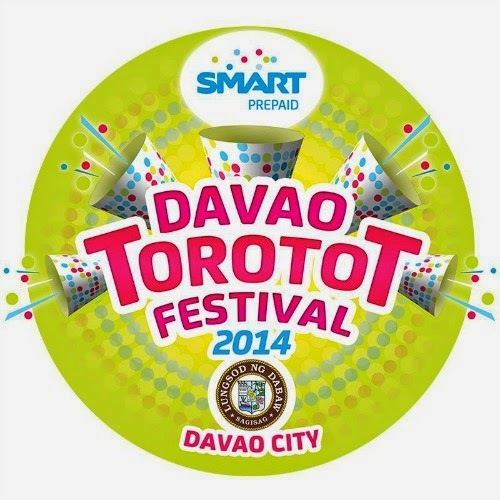 Program start at 5PM at Roxas Avenue, Freedom Park fronting Ateneo de Davao University. 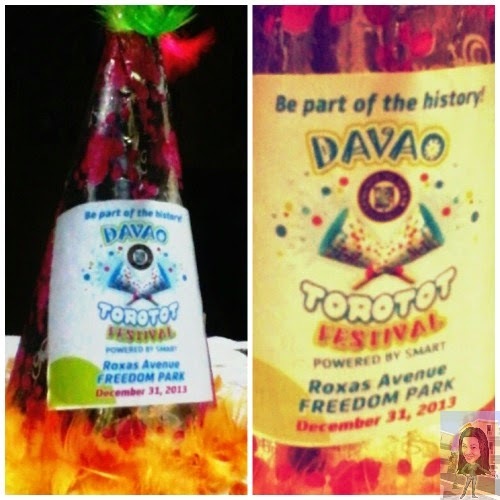 Be part again with our very own Davao Torotot Festival history. No need to worry about the 'Torotot' (party horns), our City Government will provide it for FREE! We have been blessed celebrating the true meaning of Christmas in a quiet way and New Years too, and we become an envy of other cities. The people of Davao City are so thankful with the ordinance our City Mayor Rody Duterte seriously implemented. And I'm so proud with my city and it's become something I used to experience... NO FIRECRACKERS (pollution). NO SOUND OF A GUN SHOTS. Celebrating it peacefully, only hearing the sounds of joyous caroling outside our house, sounds of people singing with a videoke, cars and bikes with used cans at the back of it roaming around back and forth the city making too much noise and most of all the blowing of horns, these are the true sounds of making us feel how special this season is truly SAFE and BLESSED indeed! That's a great idea having a torotot festival. It's a much safer way to welcome the New Year. A safer and healthier way to celebrate Christmas and New Year, especially for those who have respiratory problems, like me. I think this is a smart idea! Much safer to be honest. It's the same case here in California. You can buy sparklers or lusis but firecrackers are illegal. Most of the new year's eve revelers have torotots or other forms of noisemakers. Wish, Metro Manila will celebrate New Year less those firecrackers. Punta nga ako sa Davao . Davao is the most disciplined City here in the Philippines. Hopefully, the other cities will follow through. I hope so Ron. Thanks. A big contribution for peaceful way of celebrating new year. Hoping that other places could follow and implement. Well, a fun-filled event indeed! A fun-filled event and a safer one too! Visit us again Sir Jojo....It's more fun here in Davao! Unta sis...balik2 lang gud..bisita pud sa Davao! Kudos to the local government of Davao for being able to implement the firecrackers ban even if the practice has been a tradition nationwide. Indeed, there are much safer ways to celebrate. Happy New Year! Most people think that celebrating the New Year is not complete without the fireworks, but that is not always the case. Good company and a lot of blowing of horns is fun too. 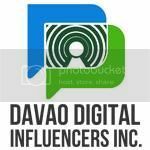 I haven't been to Davao City and will definitely add this place to my list. i've always envied this policy from davao. i hope they could implement it too in QC and come up with a torotot festival too! safe way to celebrate new year! I think Torotot is pretty good, we just let other people light up the sky while we watch with our torotots. It's really safe too! Davao is like a model city, I hope other places here in the country will follow suit.